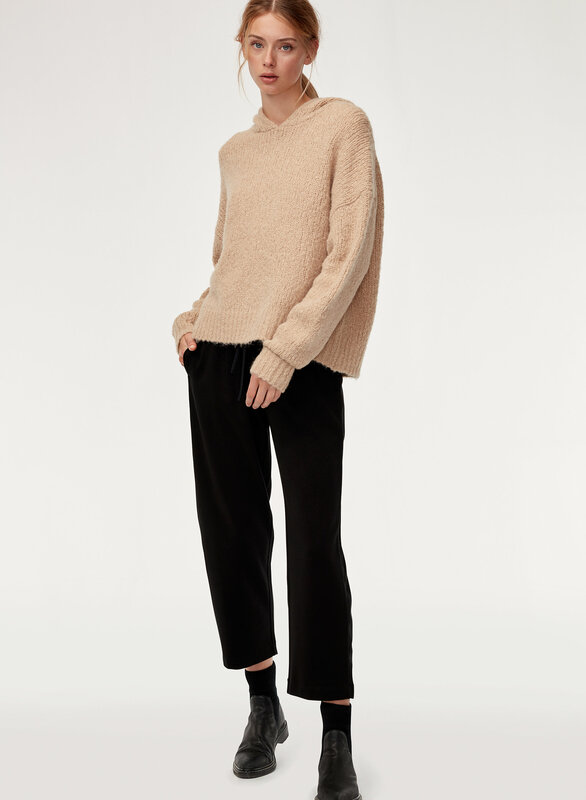 Laid-back but refined, the Michelle is a classic sportswear style redone in an elevated alpaca-wool-blend knit. 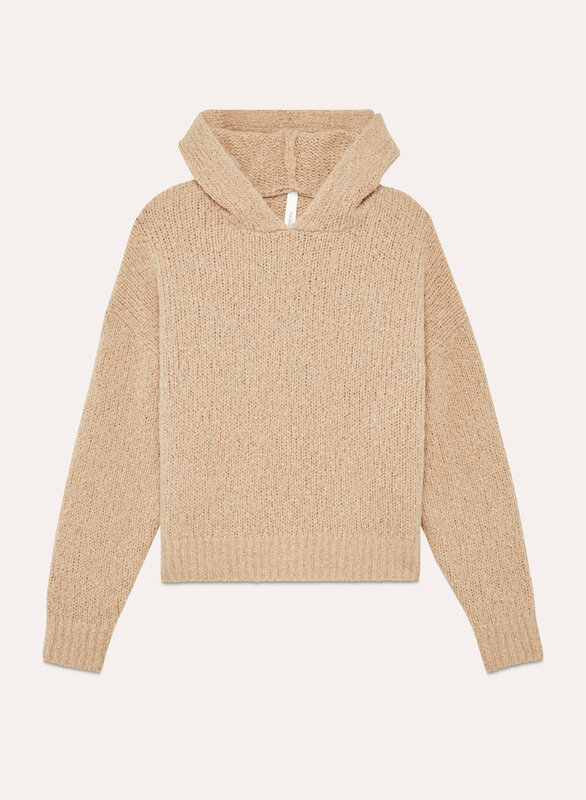 It's lightweight and warm with a cozy, textural feel. 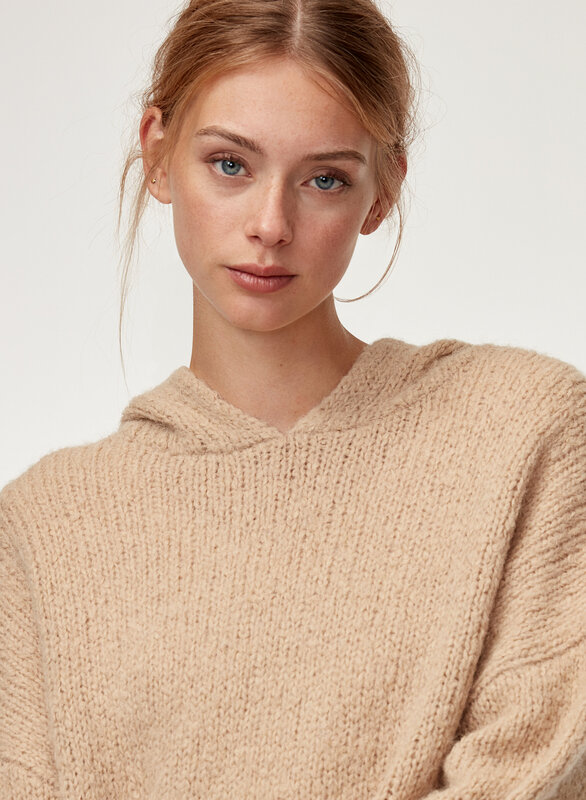 This sweater is great either casually with leggings and a sneaker or with jeans and a bootie. I loved it so much I got it in both colours!! I like it is oversized but doesn't make you look wide. Love the style and bought both color. The blue one is better on me. I wore this a few days ago on a short walk and it's very warm. I like the simple, casual look and hood is practical in case I need it. I like the blue colour, but would have liked it even more in a lighter shade of blue. It’s a lively hoodie but doesn’t hang like photos. It’s much thicker, with long sleeves. It’s a lovely blue and gorgeous but I was expecting a thinner knit. Still kept because it was a great sale price and it’s still a nice sweater. I love the sweater. I ordered it in both colors. It is warm and very comfortable and I have received lots of compliments.